Keep your neighbors in mind before your fence installation project. 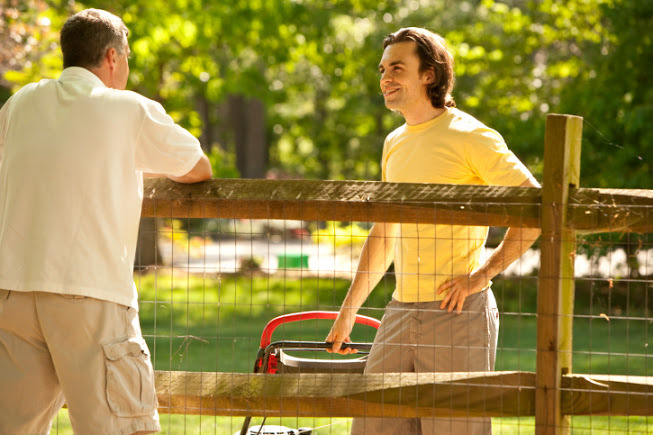 When taking on fence installation, it is always important to keep your neighbors in mind. You don’t want to step on their feet when it comes to property lines or neighborhood visual consistency. If installing an alluring fence is an investment you are committed to, first you need to understand what needs to be communicated with those you share space with. Before the fence installation process, you need to courteously inform them of what you’re doing. If you spring it on them, they may think it rude of you for not consulting them first. They’ll feel more involved with the neighborhood if you let them know exactly what type of fence you’re installing, the dates they can expect construction, and a timeline of when it will be finished. Easing your neighbors into your exciting new project will keep them from responding negatively to it. Property disputes are no fun, and they will cause a lot of tension between you and your neighbors. Fence installation can cause a lot of headaches if you don’t first find out exactly where your property starts and your neighbor’s ends. Hiring a professional surveyor to come measure your land will help you figure this out. Once you figure out your property lines, install your fence 2 feet inside your property perimeter. Educating yourself about property lines is crucial, and so is finding out the zoning laws for your residence. Most neighborhoods put these laws in place to limit fence height. If your project incorporates a fence that is passed the zoning height limit, you won’t be able to build it. A fence contractor and building permit need to be acquired before building as well. You will need to check the local homeowner’s association to see if they limit the color or appearance of your new fence. There is a lot you need to educate yourself about before fence installation, so you and your neighbors live in harmony. Keep your fence looking good! The easiest way to anger your neighbors is by poorly maintaining it. Make sure your fence doesn’t start to rust. This will make it stick out if the rest of your neighborhood keep fencing maintained. You need to keep it visually appealing and make sure it is free of hazards. What if neighbors damage your fence? Accidents happen. If your neighbor’s tree falls on your fence, or their dogs damaged it in any way, you may be entitled to compensation from them. Be sure to photograph the damage as documentation in case you can’t settle the damage amicably. If worst comes to worst, the matter can be settled in a small claims court, so there is a way to be compensated for the damage no matter what. This entry was posted on Thursday, May 5th, 2016 at 7:34 pm. Both comments and pings are currently closed.